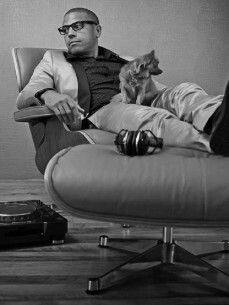 Welcome to Roberto da Costa DJ/Producer and also "So You Think You Can Dance" Choreographer for the Netherlands. Here you can find all the pictures and movies on Roberto da Costa. Feel free to check it out !! Three times world champion hip-hop,former judge and now choreographer of the most popular dance program on Dutch TV: So You Think You Can Dance, and a DJ/Producer. A multi-talented entertainer in heart and soul. “If Michael Jackson did not have so much influence on my life, I would probably be a ‘nerd’.” Roberto Da Costa is as passionate, dedicated and energetic when it comes to his DJing and production. With an artistic mind and an insatiable lust for music he hopes to share his sounds with as many people as possible Roberto has now signed to the successful independent Dutch dance label ‘Be Yourself Music’. Roberto has proven that he’s comfortable on stage and in front of the camera. Juror in “SO YOU THINK YOU CAN DANCE” "Good Morning America” with Crunch Gym in New York, MTV “The Lick” , TMF in the program “Play”, ‘De Bloed Zweet en Tranen’ Show (Blood Sweat and Tears). Roberto’s first single & video entitled ‘Excited’ featuring Daphne Khoo, was released via Beatport on 18 April, and iTunes on 29 April, and his second single with video " I Dance " ( theme song of So You Think You Can Dance The Next Generation ) was released on june 14th on iTunes !